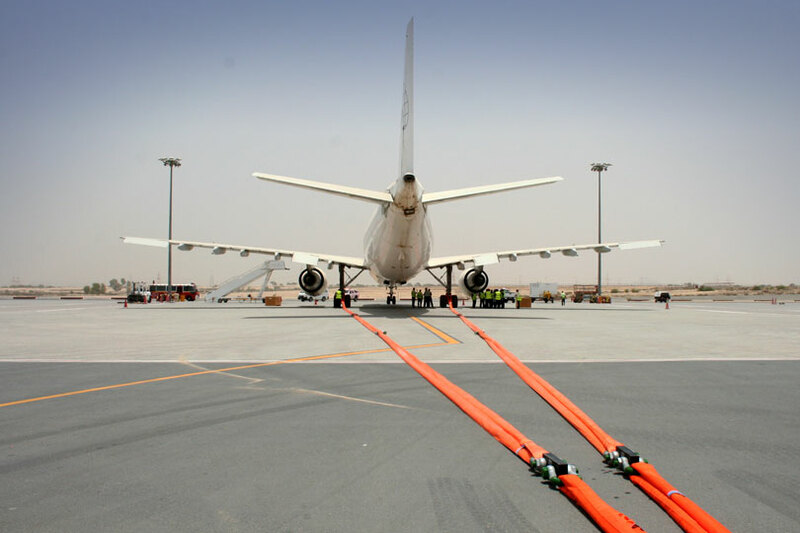 AMS De-Bogging/Aircraft Towing Kits provide an industry recognized solution for dealing with aircraft that have run off the edge of a taxiway/runway into an area where it is not possible to get a conventional tow tractor or aircraft recovery vehicle. AMS manufacture three De-Bogging kits with capacities of 25, 50, and 65 tonnes, designed to recover aircraft quickly and safely so operations can resume as soon as possible. The kit also includes a comprehensive matrix detailing how to it with a wide range of aircraft (based on current ARM). Other elements such as the AMS Temporary Ground Panels, can be added to the kit according to your requirements.